QPR in the Community Trust is proud to be in partnership with the Prince's Trust. The Prince's Trust were looking for a home from which to do more outreach work in west London and thanks to the positive relationship we already had, coinciding with the Prince's Trust's readiness to expand and the refurbishment of our Trust offices, it was a partnership by design as well as necessity. 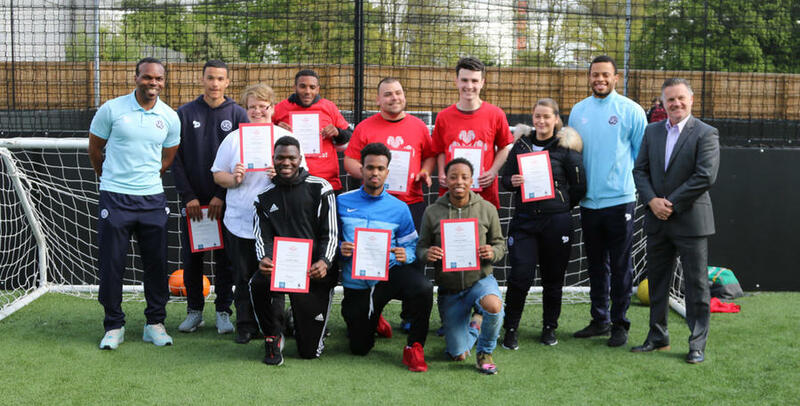 QPR in the Community Trust is an expert in using sport for engagement and social change but the Prince's Trust have a wider offer and bring years of experience of doing outreach across the country. The Prince's Trust will use Loftus Road as a hub and will host a number of community programmes there throughout the year. Together we can work for the greater benefit of young people we engage with, and we will work alongside the Prince's Trust to deliver their ‘Get Into’ and ‘Get Started’ programmes, as well as others. We will share local and pan-London networks in order to improve outcomes for our young people and we can cross-refer onto each other’s programmes in order to put the best package together for participants.